Above and below: Amethyst in Chennai while it still existed. About six months ago, I heard the bad news. I can’t remember who I heard it from first because everyone seemed to be talking about it: Amethyst in Chennai was closing down! Why on earth would it close down?! This was my immediate reaction. 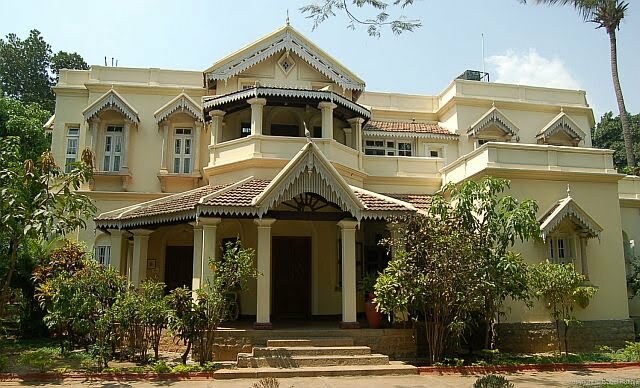 This beautiful colonial mansion was a Chennai landmark. It was very popular with locals and tourists alike. It was a unique and special place. I felt physically sick when I learned why it was closing down: the family owning this heritage building decided to have it demolished and an apartment building built in its place! Three years ago I wrote about Amethyst here. 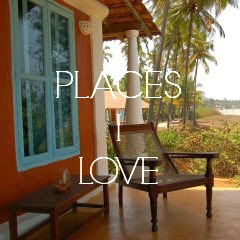 It was one of my favourite places in Chennai. This old heritage mansion in a quiet, leafy neighbourhood housed some exclusive shops but its USP was its lovely café and restaurant and beautiful garden. It was a pleasant place to spend a quiet afternoon with a good friend or a good book. Amethyst closed at the end of December. The city has lost not only a favourite haunt for many but also an architectural and historical gem. A ‘new’ Amethyst has opened up not far away from the original, in a newly built building. An effort has been made to reproduce some of the unique atmosphere by keeping the same colonial furniture and even the floor tiles and planting a lush garden but of course it’s just not the same. It’s unfortunate that heritage properties are not valued in India. With the property boom in recent years, many families decide that old houses and large gardens are worth sacrificing for the returns to be made in the real estate market. The financial aspect is understandable but do these architectural heirlooms have no sentimental or historical value? Why is this? 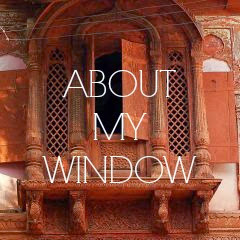 I got a partial answer when I attended a talk in Bangalore recently by Ajit Koujalgi from the Pondicherry branch of INTACH (Indian National Trust for Art and Cultural Heritage), an organisation which works to protect India’s architectural heritage. According to Mr Koujalgi, Indians seem to value property less than land. Land is more important than buildings. They are not attached to their houses. What they value more is intangible heritage like family, values, rituals and religion. 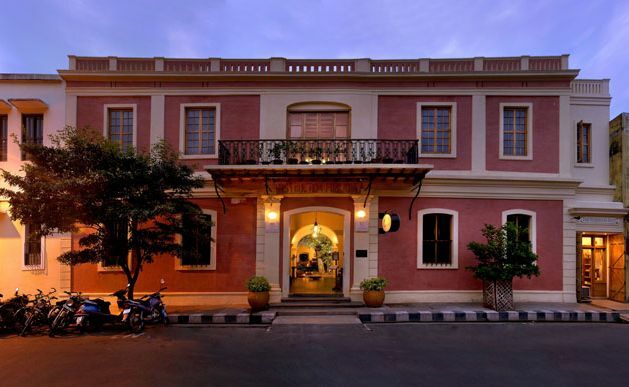 Above: Villa Pottipati s a family home in Bangalore which has been converted into a heritage hotel. A city’s unique character is lost when its traditional architecture is torn down to make way for the shiny brand-new. Unfortunately there are no laws in India protecting heritage properties. 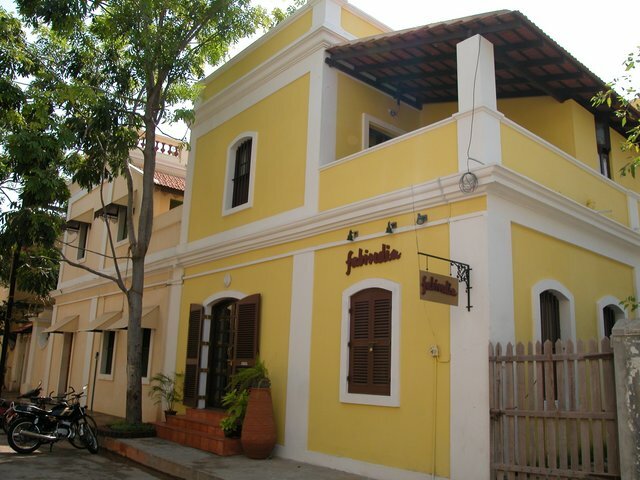 According to INTACH Pondicherry, 60% of the city’s 1500 listed buildings have been demolished in the last 10 years! 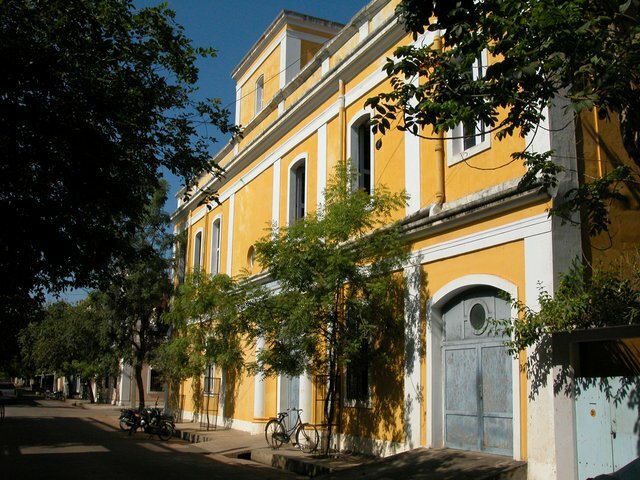 But they are doing their best to try to preserve the architectural and urban heritage of Pondicherry, which sets an example for other Indian cities. Mr Koujalgi explained that it’s been a long and tough battle trying to garner government interest and support for the restoration of Pondicherry’s heritage buildings. Preservation for preservation’s sake was not enough to convince government officials. But when they focussed on the potential for the promotion of tourism that heritage conservation has, more people took interest. 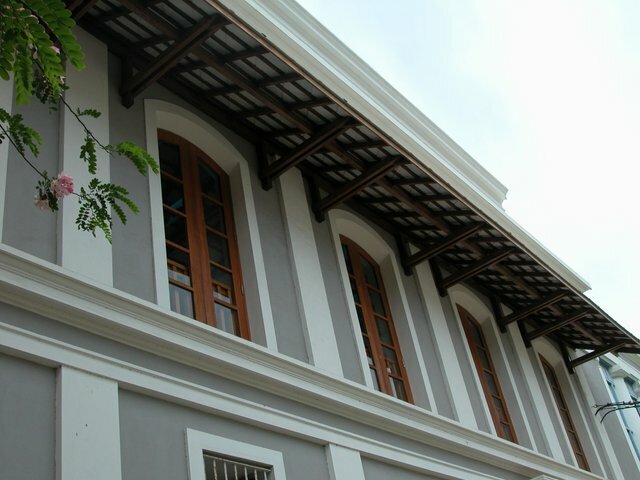 There are more and more heritage buildings in Pondicherry being converted into shops, hotels and restaurants, and yes weekends see the arrival of many visitors coming to soak in the city’s unique charm. 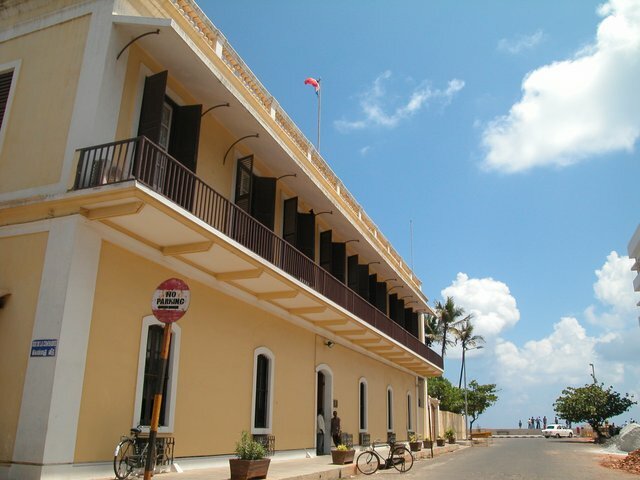 Above: Hotel de l'Orient in Pondicherry. Restored with the help of INTACH. Like Villa Pottipati, it's part of the Neemrana group. 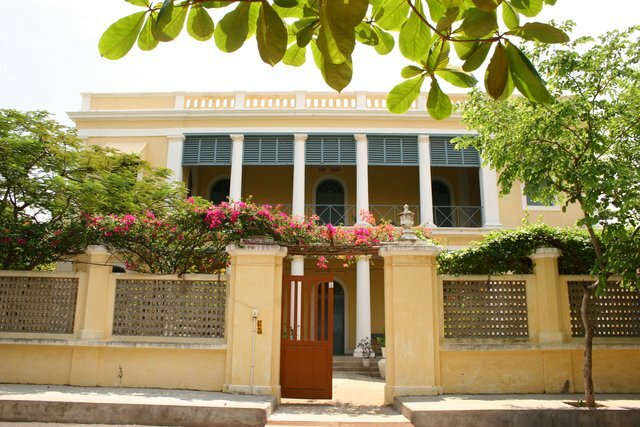 If you go to Pondicherry, visit the INTACH Heritage Centre, located in a beautifully-restored traditional Tamil-style house. Pick up a copy of the Heritage Trail Map here or at the Tourist Office. 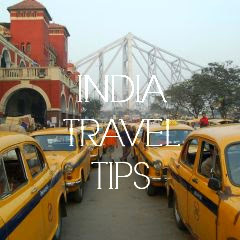 INTACH also organises Heritage Walks during the tourist season (November to February). It is really sad when we lose our architectural heritage! We lose the 'soul' of the city! Without our old buildings the cities begin to look the same everywhere! Even people like Vijay Malaya who don't need the money are tearing down their heritage properties for blocks of ugly apartments! Very tragic..Its nauseating to say the least when we see glass buildings being built with a small patch of manicured lawn in front like they are beautifying the place with greenery..the large trees,the haphazard shrubs and bushes,and the wooden framed windows and doors have a unique charm. Glad to hear about INTACH and I certainly hope more Indian cities adopt preservation policies. Sameness and newness is so boring. Lovely photos, Isabel! I'm so sad about the closing down one of your architectural heritage.I hope that the closing down of it will build a better one.